I read this article and found it very interesting, thought it might be something for you. 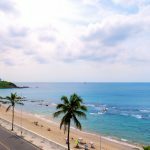 The article is called 7 Accomodations to Stay in Salvador and is located at http://trip-n-travel.com/listicle/20196/. Salvador, Brazil’s former capital is a city overflowing with culture and variety. Still influenced by its Portuguese and African roots, the city has remnants of colonial history with a new contemporary spin. “The capital of joy” is known for its famous week long festivals, modern art, and new-aged music. Regardless of if you’re interested in delicious local cuisine, stunning original 1700’s architecture, or 30 miles of gorgeous beaches, there is something for everyone. Any of these seven accommodations will make the perfect home away from home while you adventure and experience the vibrant city that is Salvador. The BahiaCafe Hotel is the perfect place to stay if you’re interested in seeing the history and antique beauty of Salvador. This hotel is nuzzled in the heart of Pelourinho, which is famous for its Baroque colonial architecture. At rates as low as $91 a night this hotel is not only amidst the historical sights but also the night life, shopping, and carnival fun. Looking for a room with a view? Then Hotel Casa do Amarelindo is the place for you. This hotel is in Pelourinho over looking Baia de Todos os Santos, also known as the All Saints Bay. Enjoy drinks on the roof deck bar or take in the beauty of the historic hotel for around $150 a night. Aram Yami has been the winner for Traveler’s Choice awards multiple years in a row for a reason. The hotel’s authentic style gives you the comforts of home with the classic Salvador spin (not to mention a romantic atmosphere the hotel is famous for). 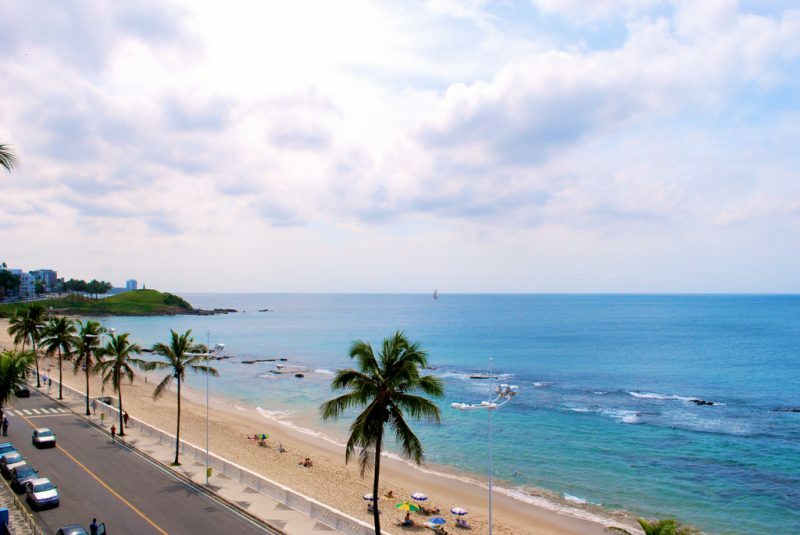 The hotel provides tourism packages that can help show you the best sights, groove to the local music, and chow down on the best cuisine Salvador has to offer. Trying not to break the bank while visiting in Salvador? No Problem! At around $50 a night Pousada Casa Vila Bela gives you a beautiful but inexpensive place to stay while you adventure around the surrounding city. Just a few minutes of walking will get you into historic downtown where you can get in on all of the festival fun and celebrations. If you want to live it up and party the night away Zank by Toque Hotel is a prime location. The hotel is just a few steps away from Salvador’s nightlife where there are bars and clubs open until the wee hours of the morning. Don’t worry, after partying all night there are plenty of restaurants around to wake up and get a bite to eat. At around $70 a night Mercure Salvador Rio Vermelho is an ideal spot if you want to work on your tan. The hotel is a prime location on the beach where you can literally walk out your door and be on the sandy beaches of Salvador. It is also close to delicious restaurants and the local music scene. With its palm trees, beautiful pools, well kept gardens, and onsite gym and spa, Hotel Deville Prime Salvador is its own little piece of paradise. The hotel is also conventionally near Salvador’s famous beaches, restaurants, and just a few minutes away from the local airport. Regardless of if you’re going to experience the festivals, indulge in local cuisine, or soak up the sun on the beautiful beaches, there is a place for everyone to sit back, relax, and enjoy the joyous city of Salvador.